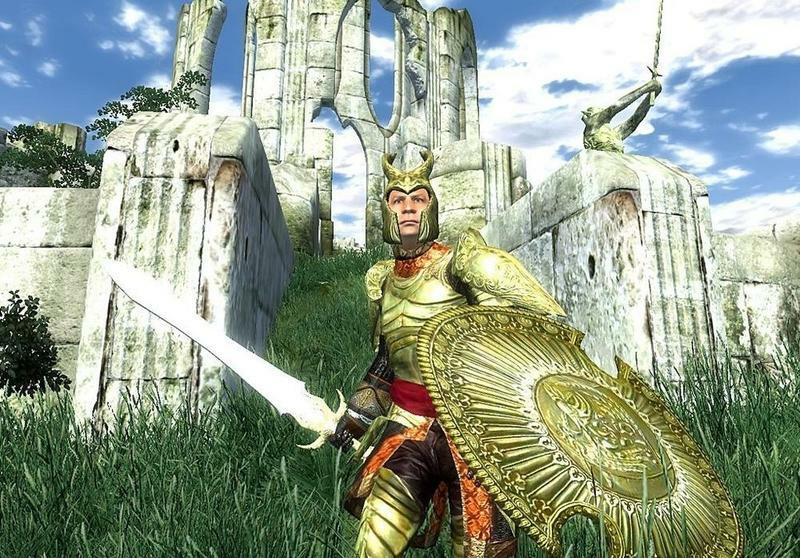 The Elder Scrolls IV: Oblivion highlights the latest list of games that Microsoft has made backwards compatible on the Xbox One. If you've already partied around in Skyrim a little too much for your own good, why not take a step or two back and see the game that made open-world fantasies the norm during the previous generation? It might be older, but Oblivion still provides plenty of adventure. It's more than just a source of horse armor ridicule. Oblivion is joined by Trine 2, Medal of Honor: Airborne, and Astropop, for a total of four games in this update and a grand total of 295 backwards compatible games. That sure is a lot. I had no idea Microsoft was going to take it this far before pulling the plug. It seems that with each passing announcement, someone in the world has something to be happy about. Even though I don't own an Xbox One yet, I've been impressed at the rate that Microsoft is cranking these updates out, especially after it took me forever to play Panzer Dragoon Orta on my Xbox 360 all those years ago. Of course, everyone still has their niche games they want to see make the leap. I always push for Guardian Heroes HD, and if we continue at this rate, I wouldn't be surprised if we saw it in the near future. How about you? What are your niche desires that need attention on the backwards compatibility front?